LED pixel tape has many advantages over standard tape in that each LED is individually addressable. The downside with this is that the controllers often supplied are standalone remote types that will not interface to anything. Thus, it is impossible to either interface to a home automation system, wall controller or app-based lighting such as Philips HUE. 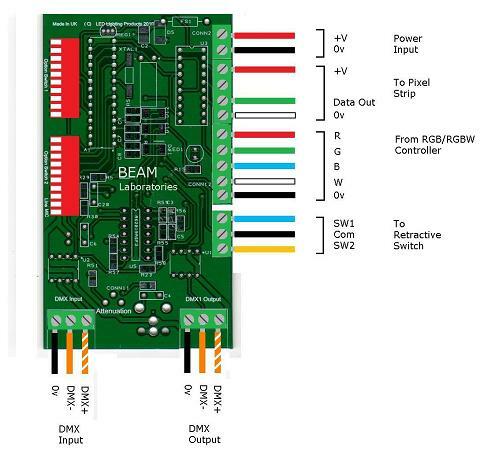 For interfacing to an existing DMX system there is a dedicated DMX input. 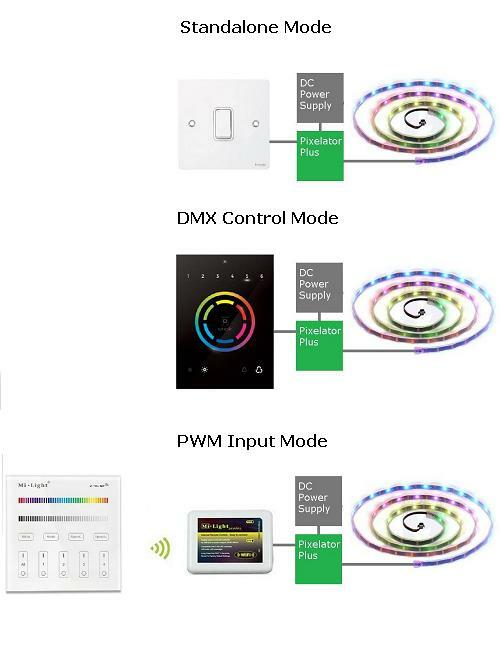 This allows home automation systems such as Lutron, Crestron, Control4 or Mode to control pixel LEDs with ease, only requiring a handful of DMX channels. There is also a simple standalone mode that only requires connection to a two ot three way retractive switch.